JURGEN KLOPP’S COMMENTS in an interview with the official Liverpool website look unfortunate with the benefit of hindsight. 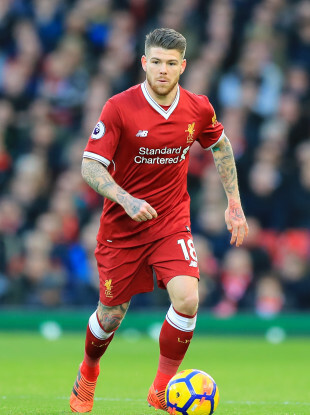 Despite paying £12 million for Andy Robertson in the summer and having the option of James Milner at left-back, Alberto Moreno has been first-choice this season after losing his place last year following some poor performances. And the German boss was full of praise for the Spanish player recently. “I never had something like this, I never had it to be honest,” he said of Moreno. “This season is not a surprise, the surprise is how dealt with last season. There was not one bad word in the whole season. “Yes, he was in my office, yes, he asked what he could do better, and we spoke about the things he had to do better. “On the other hand, Milly [James Milner] played really well and he’s a machine, he could play every two days, so there was not a lot of reasons to make the change then he had no rhythm. “Before the season, he came to my office and asked again and I told him we get another full-back but it was not the plan for Milly to be in the full-back race again so you decide what happens—and he decided it. He’s now a much better defender, that’s how it is, he’s a brilliant footballer. Klopp was not the only one to suggest Moreno was having a much-improved season, but the fact remains that the 25-year-old is part of a Liverpool backline that has struggled. The Reds have conceded 17 goals in the Premier League — only one team in the top 10 have surrendered more. Anyone part of a back four with that record hardly warrants high praise. And just as he did in the 2016 Europa League final against the same opponents, Moreno had a nightmare as Liverpool let a three-goal lead slip against Sevilla, with the Anfield club forced to wait for their progression to the knockout stages to be confirmed. Klopp’s side should still be good enough to get at least the point required at home to Spartak Moscow in their final game, but the psychological blow of tonight’s setback could have long-term ramifications. Moreno should have done better as Ben Yedder headed home for the first goal, while he was badly at fault for the second, miscontrolling the ball before fouling the same man who got the Spaniards’ opener. It would, of course, be unfair to blame the disappointment solely on Moreno. He was substituted for Milner in the second half and Liverpool still failed to hold onto a 3-2 lead in his absence. Yet the full-back had a nightmare match regardless, and you wonder if Klopp now regrets reserving such generous words for a player who has shown time and again that he is error prone in high-pressure situations. Harry Kane was below his best as Tottenham were beaten 2-0 by Arsenal at the weekend. He was also far from in peak form tonight, as he continues to recover from a hamstring injury. Yet it’s a testament to the 24-year-old’s professionalism and resilience that he still managed to score a brilliant goal despite not looking 100% fit in Spurs’ 2-1 win over Borussia Dortmund, which saw them clinch top spot in Group H as a result. The England international has now scored 39 goals in 38 games in 2017 according to Opta, and in the process, managed to eclipse another player considered to be among Europe’s elite strikers. Pierre-Emerick Aubameyang opened the scoring, but generally blew hot and cold, and at times, failed to show the necessary level of work rate and commitment to the cause — characteristics that are staples of the similarly talented Kane’s game. Nothing can go wrong for Man City at the moment, it seems. Despite resting several key players and making seven changes to their starting XI, a late Raheem Sterling goal saw them beat Feyenoord 1-0. Pep Guardiola’s side have now won 17 consecutive matches in all competitions and have a 100% record in the Champions League this season. Another positive was the fact that the manager got a chance to bring youngster Phil Foden off the bench, with City’s place in the knockout stages long since assured and the pressure reduced significantly. The 17-year-old became the fourth youngest Englishman to feature in Champions League history, narrowly behind Jack Wilshere, Dominic Solanke and Ainsley Maitland-Niles. Tonight’s Sevilla-Liverpool game brought some much-needed excitement to the Champions League group stages. Even still though, it finished with a sense of anti-climax. The 1-1 draw between Maribor and Spartak Moscow earlier means Liverpool and Sevilla will almost certainly qualify anyway. The Spaniards will surely overcome the Slovenians in their final group game and can probably even afford to draw, while Liverpool need just a point against Spartak Moscow at Anfield in their climactic game. Elsewhere, it also feels fairly underwhelming with the knockout stages in sight. Tottenham qualified with two games to spare, while Real Madrid killed any lingering doubts about their spot in the last 16 with an emphatic 6-0 win over APOEL on Tuesday night. Of the other English sides, Man United, Chelsea and Man City are all there or thereabouts in terms of qualification, while Group B will climax with four dead rubbers, as PSG and Bayern have already booked their spots in the last-16. Barcelona and Juventus are also in pole position in Group D.
There will be two fascinating situations at least in the final gameweek — in Group G, Porto and Leipzig are level on points going into the final round of games, while Serie A leaders Napoli need a win and a City victory over Shakhtar to avoid a surprise group stages exit. For the most part, however, there is a real absence of tension in the climactic group stages of the 2017-18 Champions League — a flaw in the competition that feels increasingly conspicuous with each passing year. Email “Alberto Moreno's woes and more Champions League talking points”. Feedback on “Alberto Moreno's woes and more Champions League talking points”.